Saturday 16th March was a big day for Welsh sport. 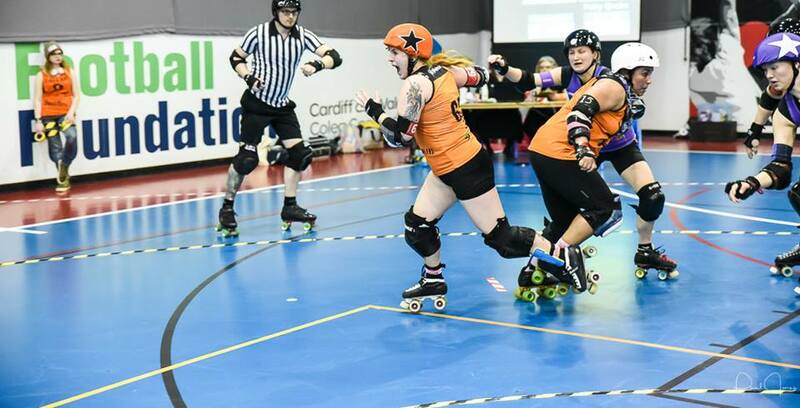 The Welsh national rugby team stormed to victory over their Irish opponents at home in Cardiff and the Tiger Bay Brawlers welcomed Rainy City Roller Derby for their first open home game of the season. 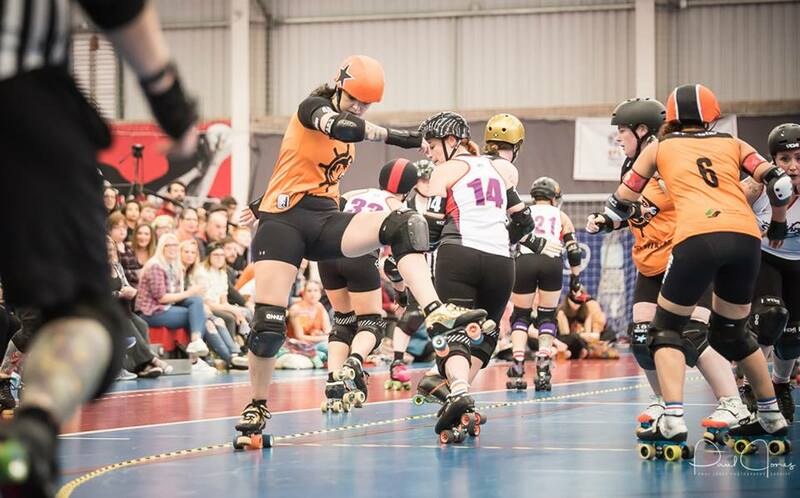 The last time Tiger Bay played Rainy City (then ranked 96th and 83rd in the WFTDA) was in 2016, when the Manchester team emerged victorious 160 – 147. By 2019 Tiger Bay had risen to 51st in the WFTDA off the back of a very successful bronze medal run at the European Continental Cup, while Rainy City had continued a meteoric rise to 10th in the WFTDA rankings. 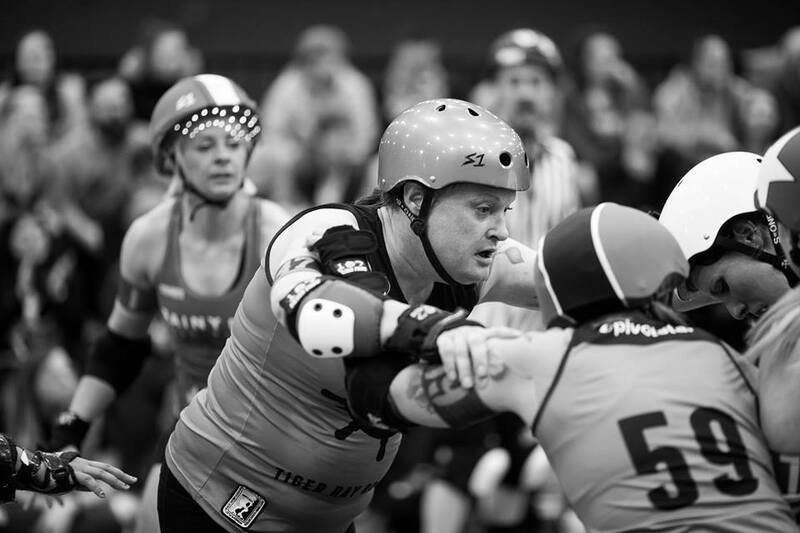 Both teams had seen roster turn overs since the previous year, with Tiger Bay jammer Angie having transferred to Madrid Roller Derby and Rainy City skating without top scorer Alex Wilde. However, the game provided an opportunity for each to try out some unconventional tactics as well as giving track time to newer skaters. Rainy City stormed ahead with an early lead of 67-11 within the first 10 minutes, but not without challenge as both veteran Tiger Bay jammers Kid and Steph Howarth snagged lead and points for the home side. However, Rainy jammer Fairy Quake stormed out the close of the first half with a 24 point jam, bringing the score to Rainy City 148-21 Tiger Bay. The second half saw Rainy jammer Ducky shine, putting up points for their team while Steph took advantage of a power jam and Fale leapt the apex for more points for Tiger Bay. Rainy’s commanding lead encouraged Tiger Bay to experiment with some unconventional tactics, with star passes both off the line and mid jam allowing pivot-turned jammer Pip Gray to put further points on the board for the home team. Some jammer on jammer defensive action extended the jams but the game finally came to an end with cheers and smiles all around; final score Rainy City 242 – 49 Tiger Bay Brawlers. Tiger Bay Brawlers A team play Rainy City’s Tender Hooligans (B) at the Euro Cup in Manchester April 14th, for more event details, click here. Look back on the action with photographs from our photographers found here! “In early 2017 I plucked up the courage to go to my first Learn to Skate session, and I’m not going to lie, I felt so far outside my comfort zone that I may as well have been on the moon – prior to this, my main form of exercise was walking from the sofa to the kitchen for snacks! Despite that, I managed to get upright on my skates on my first try, and was coached to skate a few laps. I discovered that skating was really fun, even though my whole body hurt the next day! Over the next few months of learning to skate, I made new friends, got stronger (meaning my legs didn’t hurt so much after training any more), and found myself really enjoying skating. I’ve now passed most of the minimum skills required to play roller derby, and joined the main league training sessions. It hasn’t been easy to learn how to skate, but the feeling you get when you nail a new skill is so amazing! Everyone wants to help you, and push you to get better. Since starting skating, I would say that my fitness has improved massively – I actually want to exercise now, in order to improve my stamina for skating, and learn new skills. Physically I have toned up, and gotten a lot stronger – it’s even helped me with my diabetic control, as the increased exercise has helped keep my glucose levels down. I’m also a lot more confident, and more willing to try new things. Tiger Bay’s next Learn to Skate course is starting March 14th, and we’d love for you to join us! “I found out about Learn to Skate from a work colleague of mine who skated with the Brawlers, and persuaded me to give skating a go. I’m so glad I did; everyone was really friendly and supportive, and there were lots of different skill levels so I didn’t feel out of place. Learn to Skate taught me everything I needed to know to start playing derby, and helped me be more confident on roller skates than I ever could have imagined! The sessions made me feel excited to be learning something new, amazed at how far I could push my body, and sore from pushing my body so far! I would tell anyone thinking of learning to skate to just give it a go – there are skates and safety gear that you can borrow whilst you’re learning, so you have nothing to lose! I had never played a contact sport before this, and it is so much fun. I’d be lying if I said it never hurt, but when you’re playing you hardly notice anything over the buzz of adrenaline. 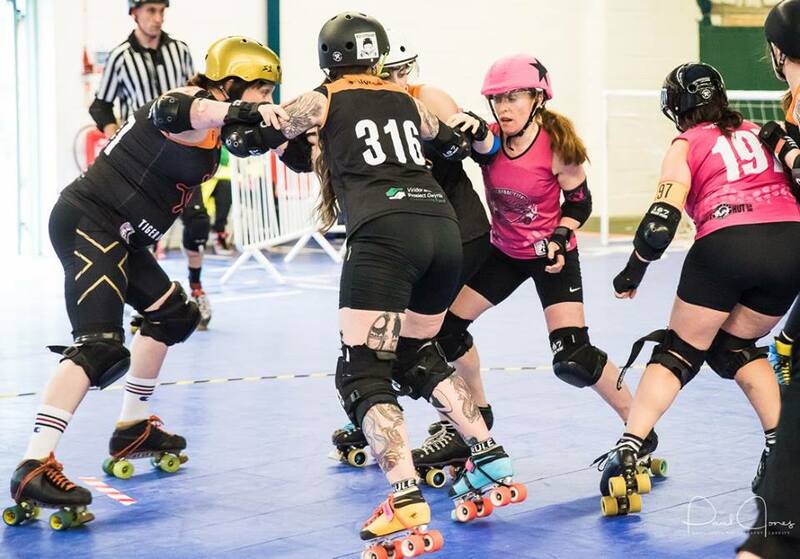 In anticipation of the WFTDA European Continental Cup in Birmingham, we’re taking the time to introduce some of our A team skaters, ask them a few questions about what it’s like to train at Tiger Bay, and find out how the team is preparing to compete for the cup. This week we’re chatting to Kid Block, our current A team captain! 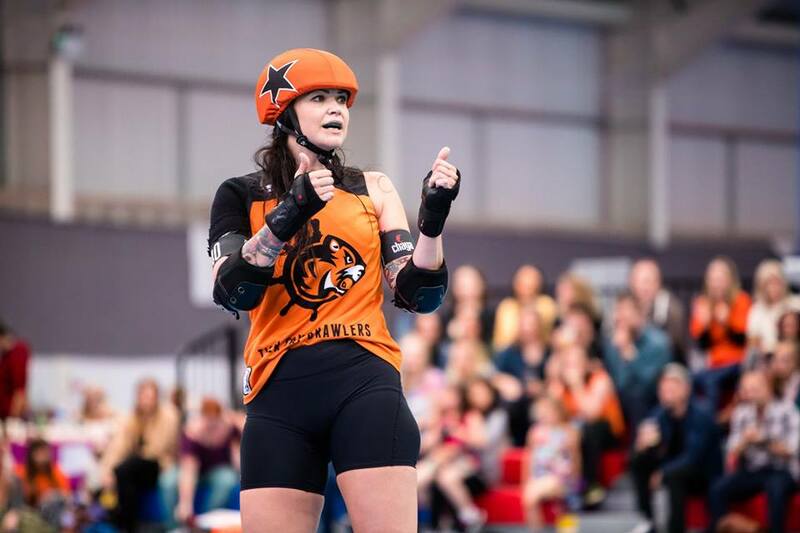 Kid has been with Tiger Bay since the beginning, and has also skated with European roller derby royalty, the London Rollergirls, gaining experience from the highest level of play at WFTDA D1 Playoffs and Championships. 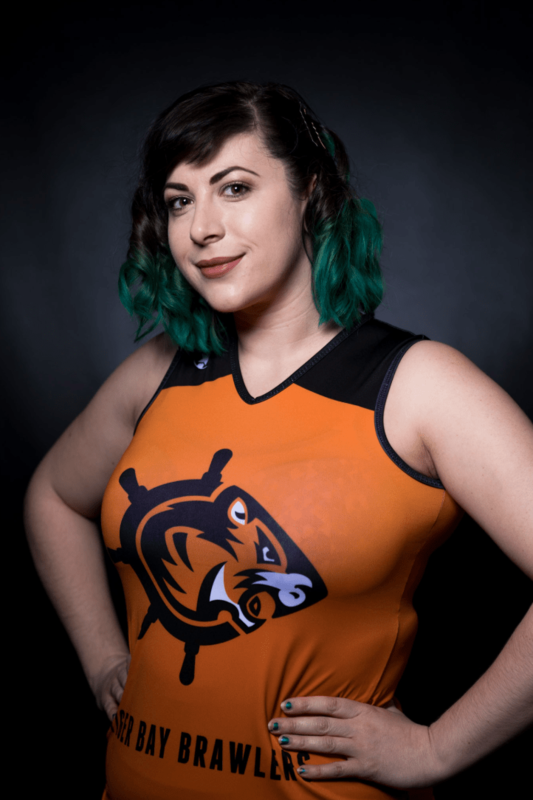 Since her return to Tiger Bay this year she has been bringing the smarts and the skills to our sessions and her jammer tricks to the track! Can you tell us a bit about your skating career to date, and what drew you to roller derby in the first place? I was part of the OG Tiger Bay crew, and attended the very first session in Spring of 2010. I was drawn to roller derby because I thought it sounded fascinating / extremely stupid, and I just had to see what it was all about. After that first session I bought my own skates and kit the very next day, and haven’t looked back! How have Tiger Bay been preparing for the European Continental Cup? As a surprise entry to the Cup attendees we didn’t have long to mentally prepare to be honest – it’s not like it’s been a season long progression. However, at the start of the quarter in a team meeting we decided we were all in and we have set quite lofty goals for ourselves. In the same team meeting we set our training goals for the quarter and discussed all the things we felt we needed to accomplish as a team (both physically and mentally) in order to be at our absolute best going into the tournament. The coaching and leadership team then digested and made these training goals span the quarter and we broke each area off into workable chunks. We’ve had 4 extra A team sessions that have helped us refine strategy and work on repetition, and we also had Juke Boxx come coach us to help with some strategy, which we took a lot from and have been refining ever since. Oh and games! We’ve had a closed door vs Brawling and Brawl Saints and open door vs Hellfire Harlots. We’ve basically done as much as we can to be prepared for the Cup. What are you most looking forward to, with regards to Continental Cup weekend? I’m most looking forward to what this means for European derby at this level. To have this focus on Europe and eyes on these particular teams, that are stacked with talented skaters and hard working coaches and roller derby enthusiasts, means a lot for Europe. Do you have any tried and tested pre-game rituals you will use to help prepare yourself? I don’t really have rituals as such, but for me it’s all about my own personal preparation, so making sure everything I need is planned and available well in advance of game day. Uniform/food/gear/schedule… all needs to be pretty much perfect in order for me to be mentally ready to do my best. What is your favourite thing about skating with Tiger Bay? Tiger Bae strike the perfect balance between hard work and fun. I always feel like our sessions are jam packed with smarts, hard work and dedication but we also will fall into fits of giggles at some point during the session. There’s a lot of love in the team and it comes through in everything that we do. It’s a really wonderful environment to be in. What do you feel is your best ever roller derby memory? I always choose to look forward rather than behind, so let’s see what this weekend holds! Maybe this will be it? Thank you for taking the time to talk to us, Kid! We’re excited to follow you and the rest of the team at the European Continental Cup this weekend!. Follow Tiger Bay on Facebook, Twitter and Instagram to follow us as we hit the track this weekend in Telford! 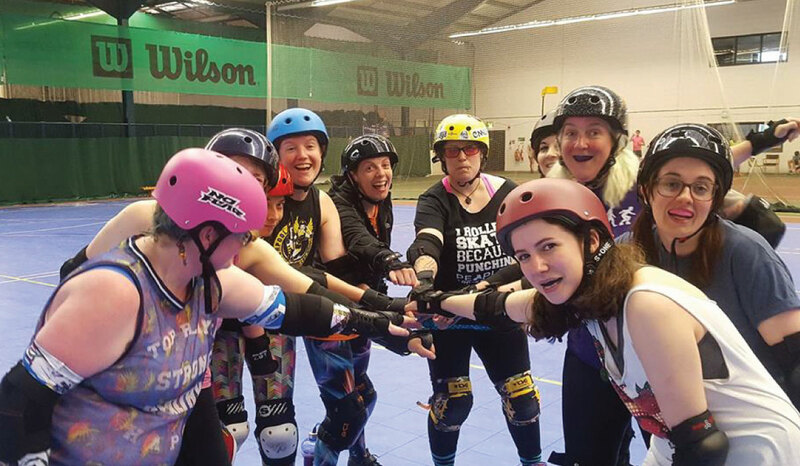 In anticipation of the WFTDA European Continental Cup in Birmingham, we’re taking the time to introduce some of our A team skaters, ask them a few questions about what it’s like to train at Tiger Bay, and find out how the team is preparing to compete for the cup. 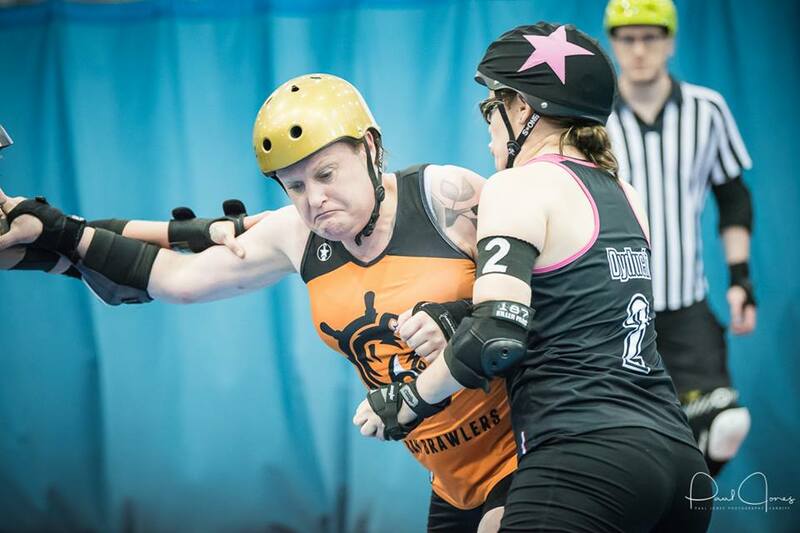 This week we’re chatting to Nitro Jen, one of our veteran A team skaters. Nitro Jen started skating for Tiger Bay circa 2014, coming to us as a transfer from Rainy City, where she first learned to play roller derby. Her solid blocking skills have jammers begging for mercy on the track, and the strength she lends our walls make us very glad to have her on our side! 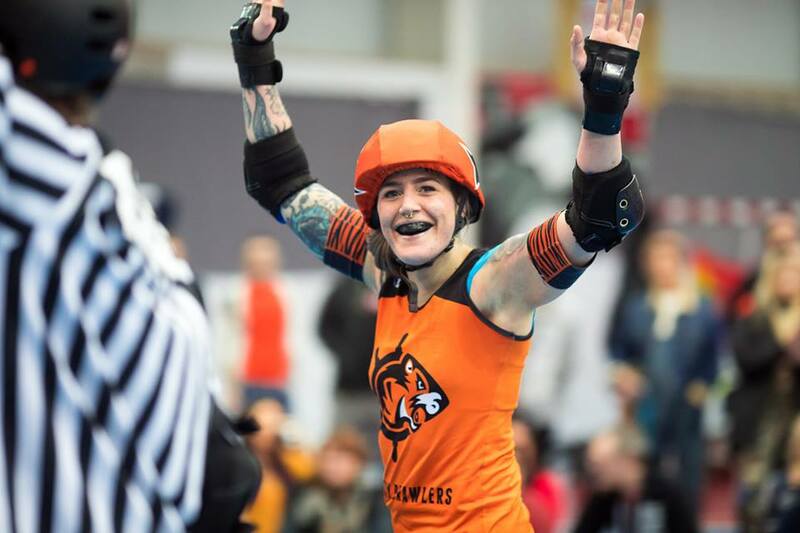 Nitro’s positive attitude and willingness to help others learn and improve from her extensive knowledge of roller derby make her a highly valued teammate in every regard. Nitro, can you tell us a bit about your skating career to date, and what drew you to roller derby in the first place? Up until I was 40 years old, I could count the number of times I had skated on one hand, and that was when I was about 14! However, upon turning 40 I realised that I wanted to make some changes in my life, as I was unfit, working in hospitality and had little in the way of a social life. I read an article about roller derby in a magazine, and it seemed to fit the bill – a great sport, filled with awesome people, that celebrated diversity and alternative culture. I Googled my local league, plucked up the courage to email them, explained a little about myself and enrolled in their new skater program. Needless to say, I fell in love with the sport immediately! We have changed as a team quite a lot over the past 12 months, with new skaters moving up the ranks from our B team and transferring in from other leagues, but I’m happy to say that we have gelled really well and worked incredibly hard together. Under Kid Block’s guidance we have all become better skaters, and take a very professional approach to training and the team. Obviously we still have loads of fun, but we definitely know how to take care of business! Personally I’m really looking forward to seeing how we compete at this level, and I’m excited about working hard to progress even further, knowing that we have the ability to achieve our goals without any fear of the challenges we may face together. I’m all about tapping in to the team vibe – I really enjoy the spirit of us all being together with a united purpose. Oh, and music! Lots of good music, that’s my way of engaging beast mode. Definitely the people. I am so inspired and in awe of the amazing people I get to call my league mates, I love all of them! 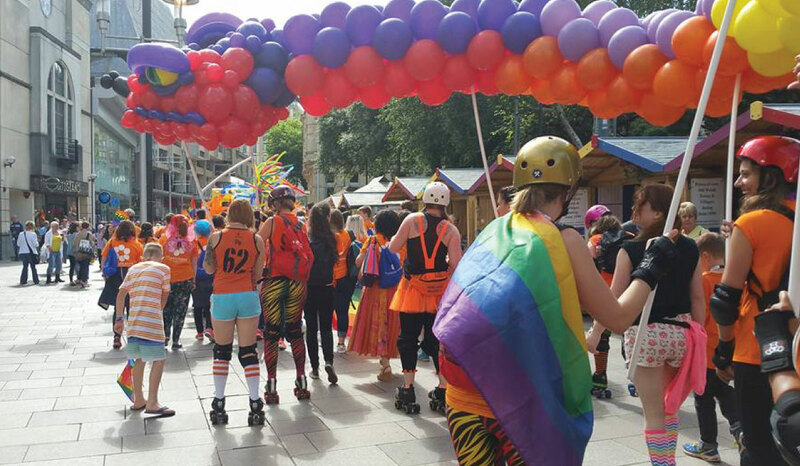 Roller derby changes lives, for real – as a trans woman, I couldn’t have dreamt of a more supportive, accepting community, that pushes me to be the best I can be in so many ways. I think my best moment is yet to come; I’m pretty driven in that way! Thank you for taking the time to talk to us, Jen! We can’t wait to see you unleash the beast on track at the Continental Cup. Follow Tiger Bay on Facebook, Twitter and Instagram to follow our journey to the WFTDA European Continental Cup! 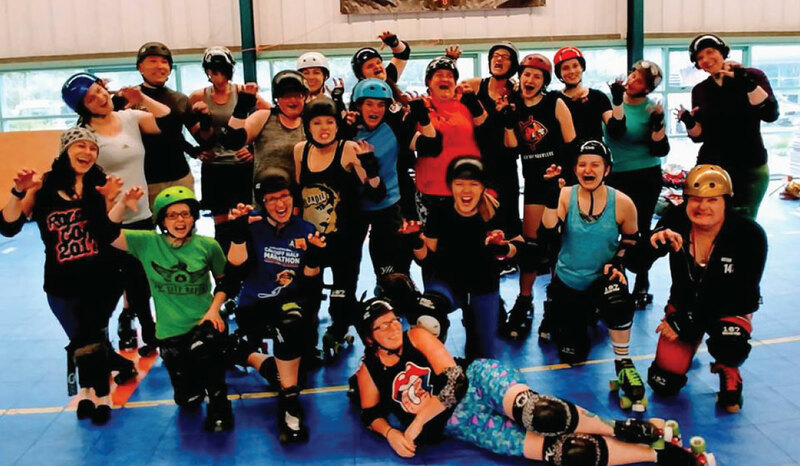 In anticipation of the WFTDA European Continental Cup in Birmingham, we’re taking the time to introduce some of our A team skaters, ask them a few questions about what it’s like to train at Tiger Bay, and find out how the team is preparing to compete for the cup. First up is Charlie Bowman/Irene Adler. Irene started learning to skate with Tiger Bay in August 2016, and joined main league as a B team skater in February 2017. She is a fierce and intimidating blocker, and her formidable strength is a real asset to her teammates, meaning she has quickly risen through the ranks to become one of the most recent additions to our A team charter. 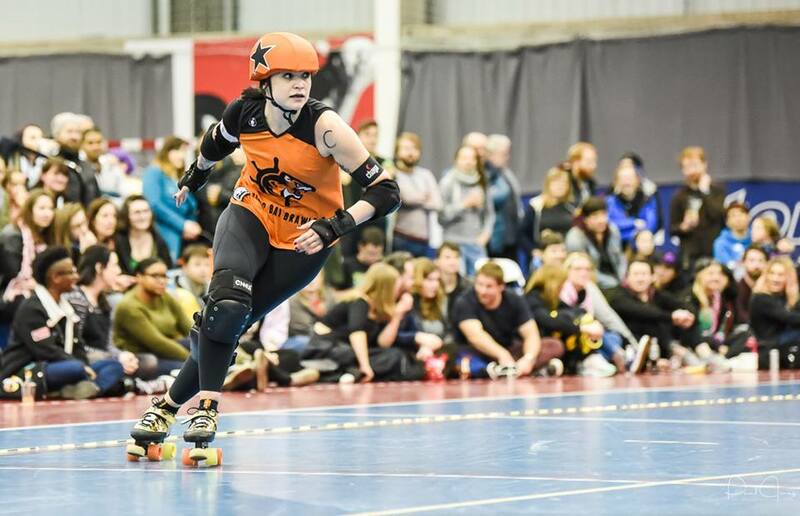 She consistently proves her worth in training, and made her A team debut in September, skating against Nottingham Hellfire Harlots. Irene, how have you found training with the A team so far? At first I felt like I had wandered in by accident having no idea what I was doing, but I know that people are willing to help and that it’s just a case of getting stuck in. The training is intense, but also incredibly useful. I feel like I am being pushed, which helps me become a better skater – trying things that are daunting, and thinking about things differently. It’s a huge opportunity to be able to train with them, at that level, and getting the advice/tips/feedback that are only going to help me. Does it feel good to be able to train at a higher level since making it onto the A team charter? Yes, it’s a huge difference. It’s helping me to pick things up faster, and I believe it will ultimately make me a better skater. It helps to have so many skaters on the team that I can aspire to skate like, and be in a position to ask for advice and pay attention to the way some skaters approach different positions and plays. The tactics/strategy is the biggest difference which I am trying to get used to, and it feels like an achievement when I really get it and am able to do it successfully in training. You recently skated in your first A team game – congratulations! Can you tell us a bit about that? What was it like, what challenges did you face, and did you have fun? It was a super last-minute swap with someone who was too injured to play, so I didn’t know until the morning of the game! That meant I didn’t have time to get too nervous, which helped a lot. I absolutely love being able to skate in games, I get such an adrenaline rush and get completely sucked into the atmosphere. I wouldn’t describe myself as very competitive, so was loving every second of it despite the lead changes (although had complete faith in TBB of course!). Being so new to the charter, and with the last-minute swap, I didn’t think I would get any track time, so was over the moon with being asked to go on for two jams. I had so much fun, and was so happy to be included and able to enjoy the game with the rest of the A team. What does the next year hold for you? Do you have any personal goals you’re working towards? I have only just got onto the charter, and obviously I’d love to make it again next quarter. Mostly my aim is to make use of every opportunity given to me to learn from the A team, to improve myself as a skater and to have the additional knowledge/different mindset that comes with it. I would also love to play in more games, both A team and B team, as I think the pressure and excitement brings out the best skater in me. Thank you for taking the time to speak with us, Irene! We can’t wait to see what the future holds for you within Tiger Bay. Follow Tiger Bay on Facebook, Twitter and Instagram to follow our journey to the WFTDA European Continental Cup! thu18apr6:15 pm- 7:15 pmLearn to SkateGet your skates on! Tiger Bay Brawlers are once again inviting you to join us and kick-start your new favourite hobby – ROLLER SKATING! With no previous experience required, and kit hire available, we’ll provide you with everything you need to progress from Bambi on ice to confident, skating badass. Weekly sessions, coached by our medal-winning A Team skaters, will take you right from the basics of moving forward, through to jumps, hits and spins. 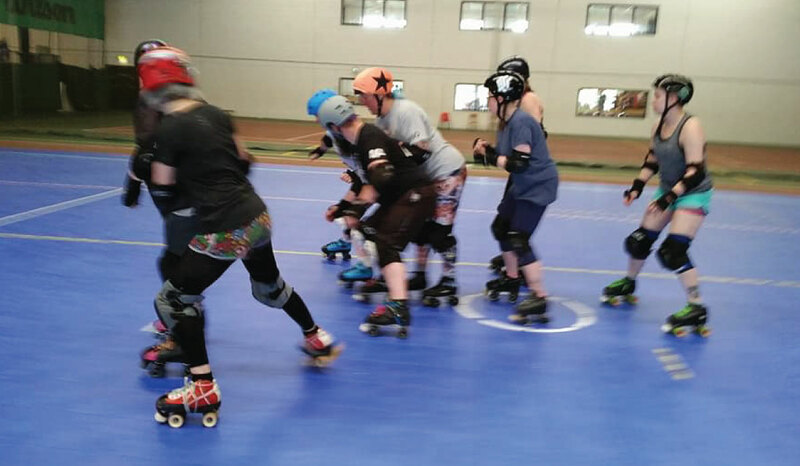 After that, the course will progress onto roller derby gameplay and tactics, with extra input from our B Team skaters and previous Learn to Skate graduates, so you get to try out all your new-found skills! Already confident on skates, but new to roller derby or returning after a break? Message us to find out about joining the course once we move on to gameplay sessions! What are you waiting for? Put some skates on and be your own hero! Sessions run weekly, Thursdays 6.15 – 7.15pm at Eastern Community Campus £3.50 per session £18 to pre-book the first 6 sessions (saving £3) £35 for the full 12 sessions (saving £7) £45 for the full course PLUS four weeks of gameplay training with our Tiger Bay B team (saving £11) Course begins Thursday 14th March – this will be our ONLY learn to skate course in 2019 so don’t miss out! Limited kit hire will be available, with more details to follow. If you’re interested in buying your own kit, we recommend visiting our sponsors Skate Alley, or checking out the UK Roller Derby Recyclables Facebook. This course runs until Thursday 27th June 2019, after which skaters will be invited to join the Tiger Bay Brawlers main league. We’re always looking for skating officials (referees), non-skating officials and volunteers as well as derby skaters, so whatever your interest, please get in touch!